You all knew it was coming. There was no way I was going to do a reading challenge without including something Star Wars related. In my search I came across Ian Doescher's William Shakespear's Star Wars trilogy. It's the Star Wars saga episodes IV to VI, completely re-written in iambic pentameter. 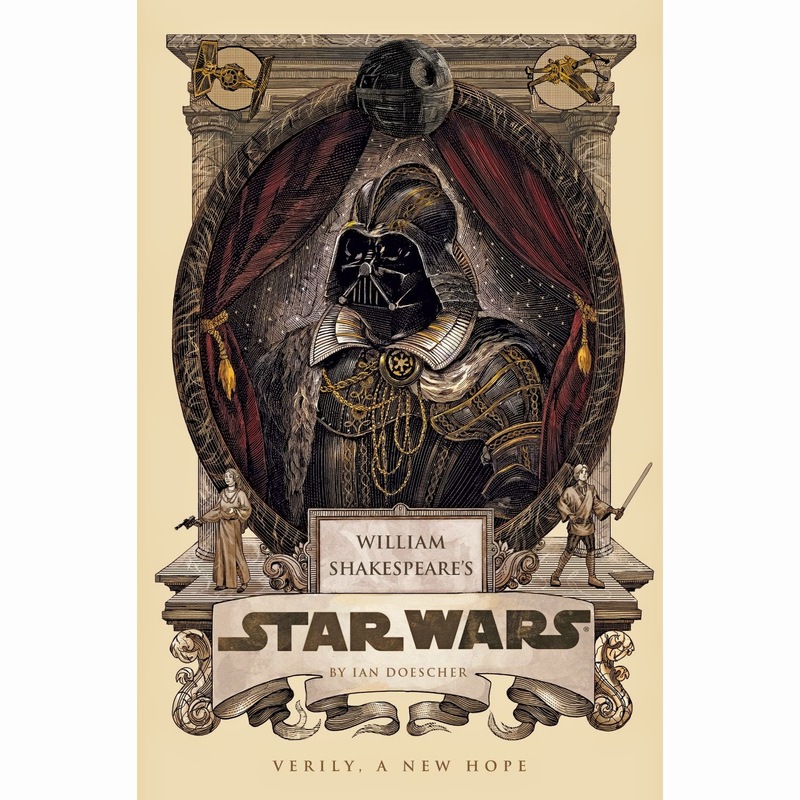 To read and fully appreciate this stroke of genius you need to have a good understanding of the movie, Star Wars: A New Hope, and an appreciation of Shakespeare (even a little is enough). The book itself is an easy read and for those, like myself, who know the movies well, you'll be able to visualize the scenes as you go through the pages of this book. Most readers will know the story, (if you didn't I'm not really sure why you'd decide to pick it up) so there's no point reviewing each aspect of the plot. I'd much rather share the various components of this book that made me love it as much as I love Ewoks (On a scale of 1 to 10, Ewoks sit at a 9.5). First, the asides. Various characters are given an opportunity to express their inner thoughts, something that we don't necessarily hear when watching the movie. We simply just assume what they're thinking based on their actions. R2-D2's asides are particularly hilarious given that he does not speak in the movies. I also thought it was genius that his beeping went along with the rhythm of iambic pentameter. I also quite enjoyed the various drawings that were scattered throughout the book. Nicholas Delort was credited for these images according to the author's acknowledgements. They were drawn in Elizabethan style. My favourite image was of Luke holding a Stormtrooper helmet in the same vain as Hamlet holding Yorick's skull. Lastly, the translation of some of the movie lines into Shakespearean prose were both hilarious and foreshadowing. Here are a couple of my favourite quotes. Indicating that Luke is much like his father. Go ye then, and Force be with you all!